Ask a question about 445 N Orange Ave #309, or schedule a tour. 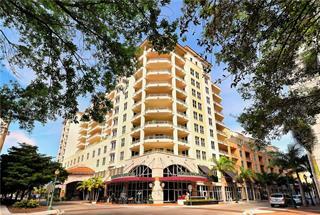 Downtown Sarasota in the Rosemary District, urban living with exceptional details. Appreciate the super solid construction with 10' coffered ceilings, crown moldings, custom cabinetry and bamboo flooring. The hurricane impact windows a... more.nd doors not only comfort you but the quiet and insulated feeling is a major bonus. The architecture with archways and decorative wrought iron railings is about as quaint as what you would see in Architectural Digest. 3rd level living, gated and elevator to your front door is premium. Leave the car keys at home and hop out the front door and be seated whether it's Black Troupe Theater, excellent restaurants, farmer's market or your pick of 4 yoga studios all within quick walking distance. 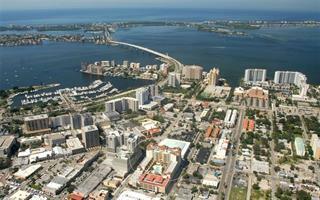 Sarasota's Downtown Cultural venues all within minutes. 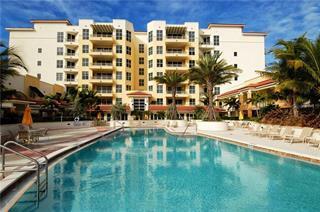 Feel the vibe and seize the opportunity to enjoy your own Pied de Terre in a convenient location. Furnished and ready for immediate occupancy. 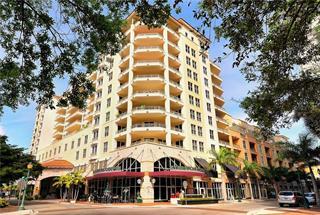 A mid-level condo in the heart of downtown with covered parking and quaint shops surrounding you PLUS upscale restaurants is simply an option like no other.